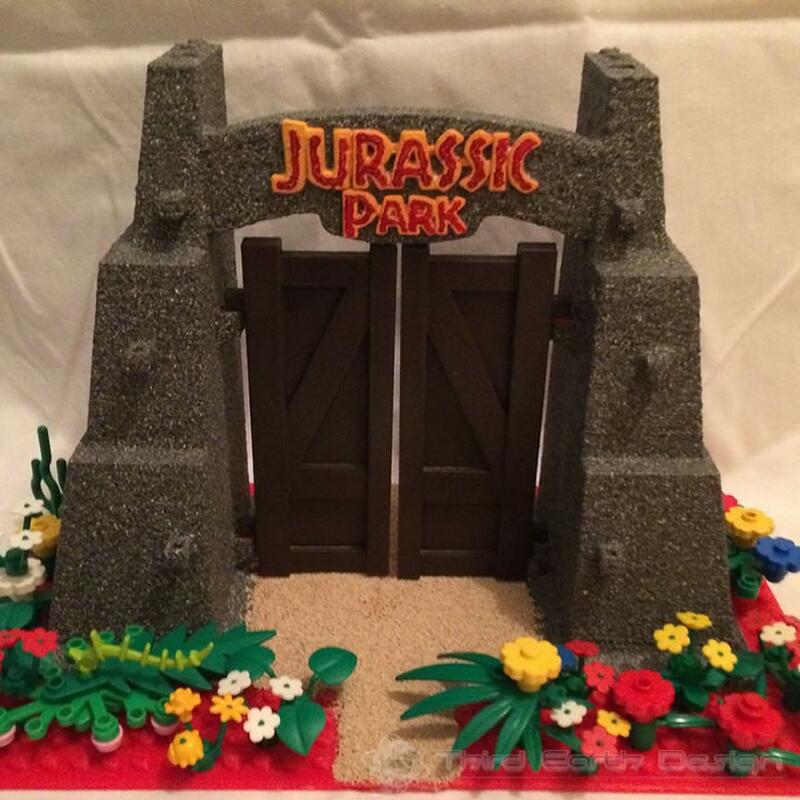 Gates completed, hope my nephew likes them! 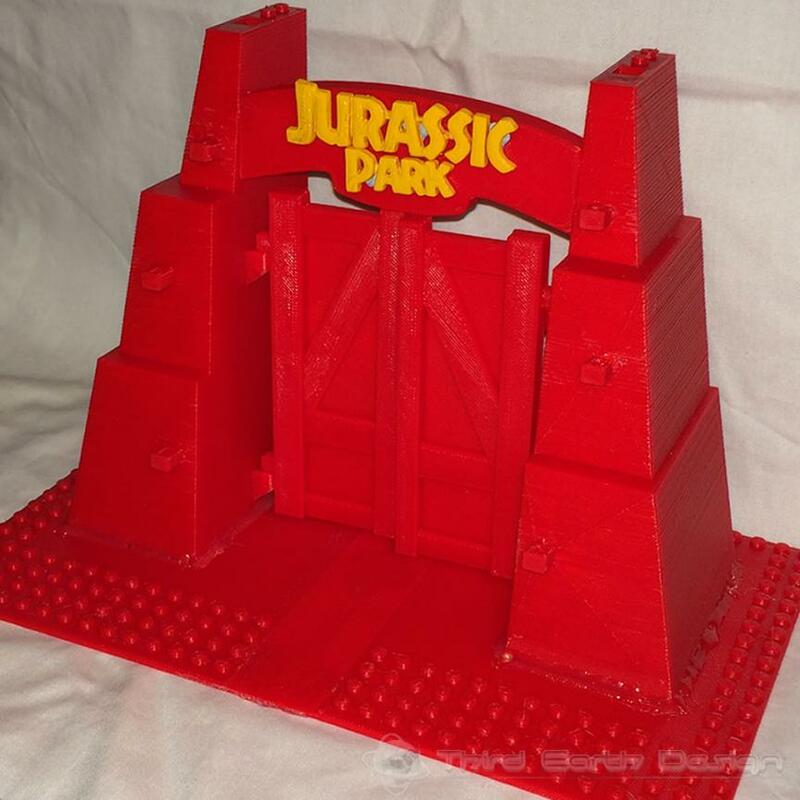 The 3d printed Jurassic Park gates were created for my youngest nephew during his dinosaur phase. 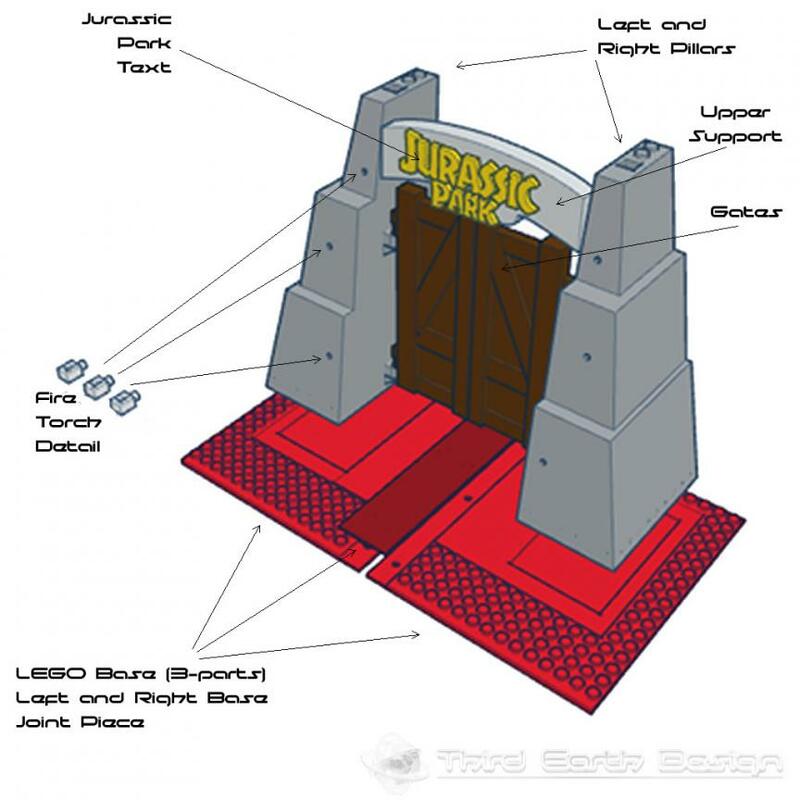 He got in the habit of building dinosaurs out of LEGO® blocks, so I thought having the Jurassic Park gates would be pretty awesome! 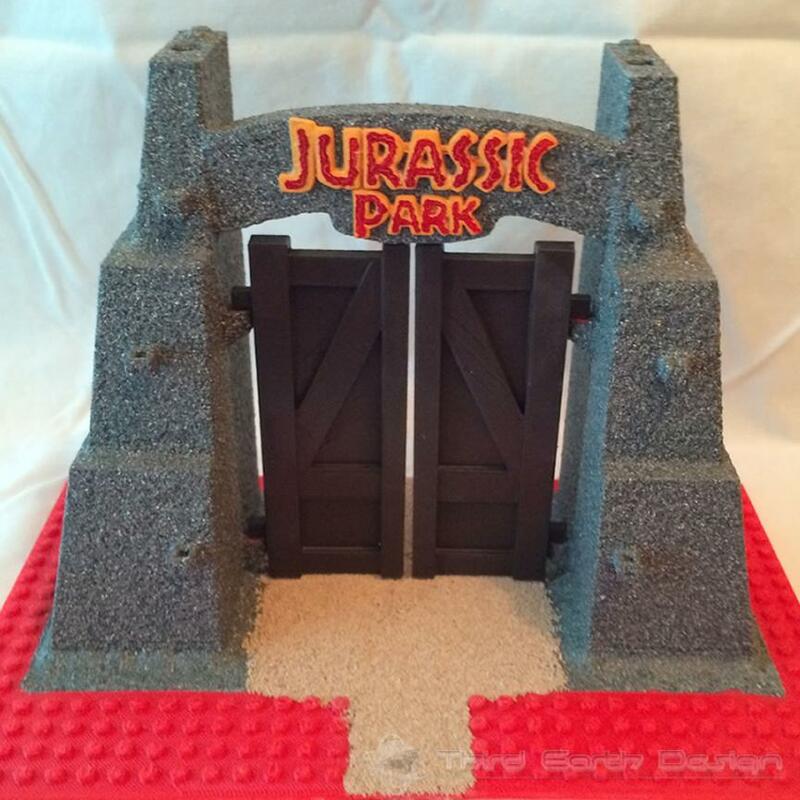 In keeping with his love of the coloured bricks I also decided to make the gates LEGO® compatible, that way he can still be creative and keep building things. 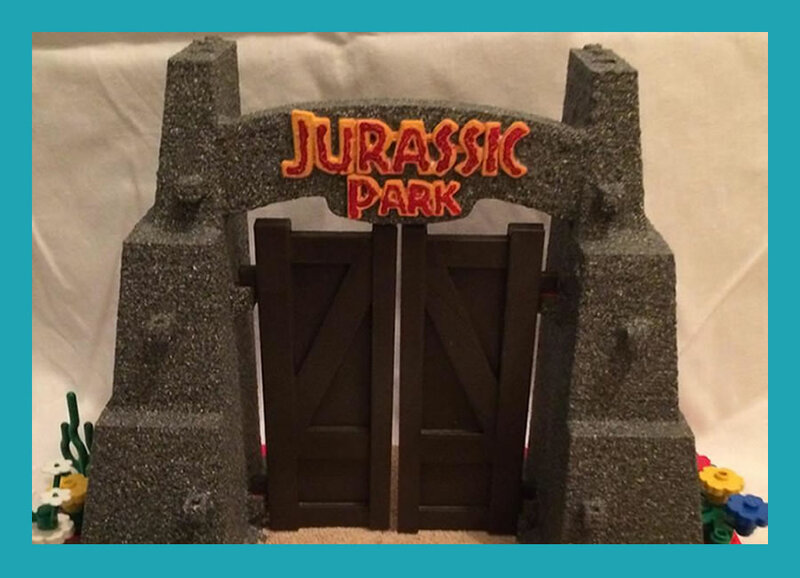 This was a bit of a last-minute project as I wanted to produce it as quickly as possible, so I turned to Thingiverse in search of a good Jurassic Park gate model, it turns out I was in luck. Please note that I am not affiliated with LEGO® in any way. 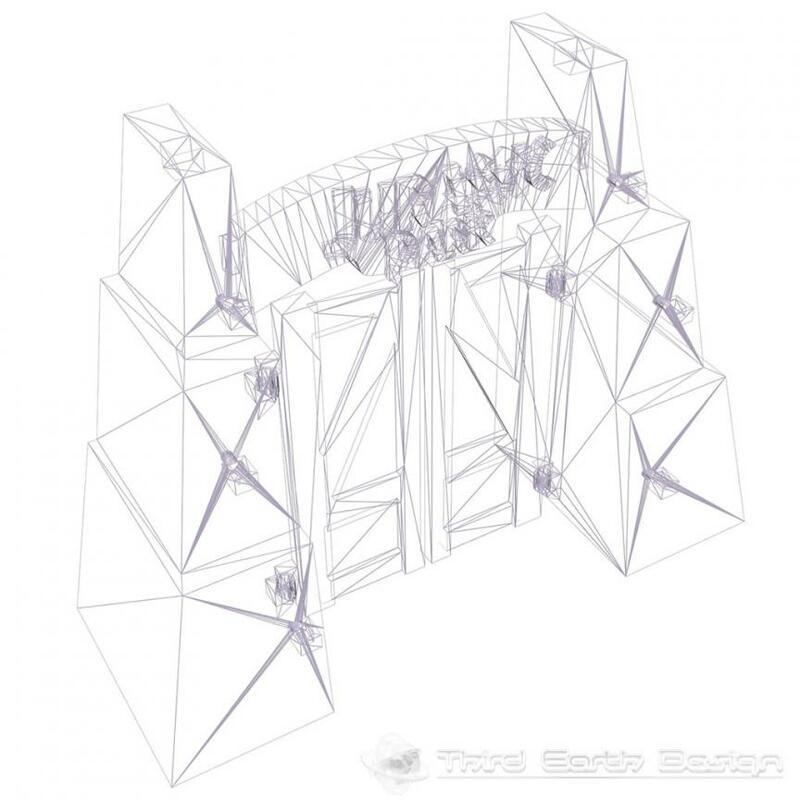 LEGO®, the brick configuration, and the minifigure are trademarks of the LEGO® Group, which does not sponsor, authorize or endorse this web site or this project. 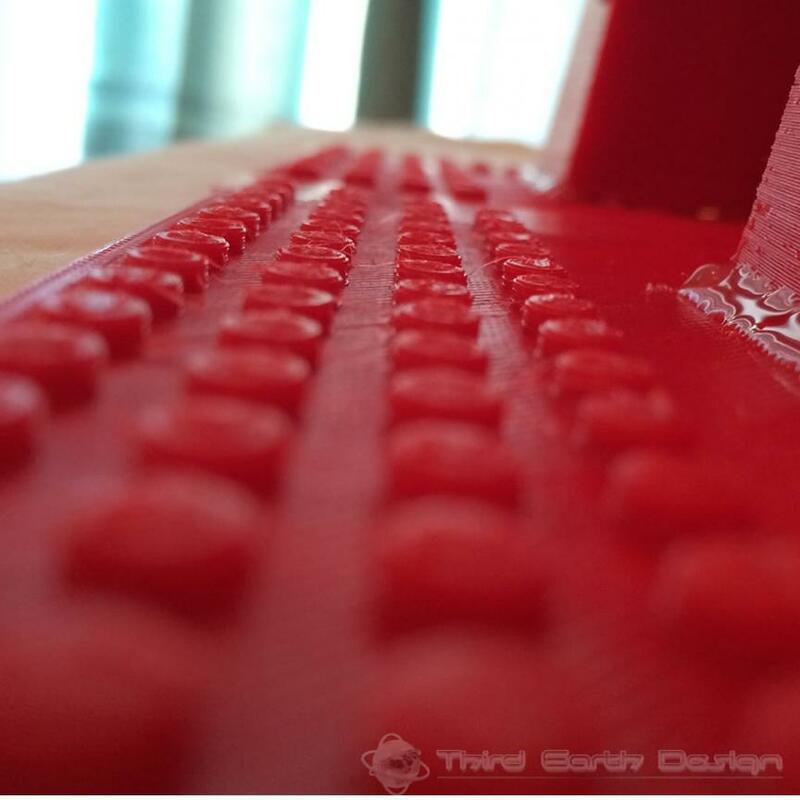 My build is based on a 3d model created by Drussell19 on Thingiverse. 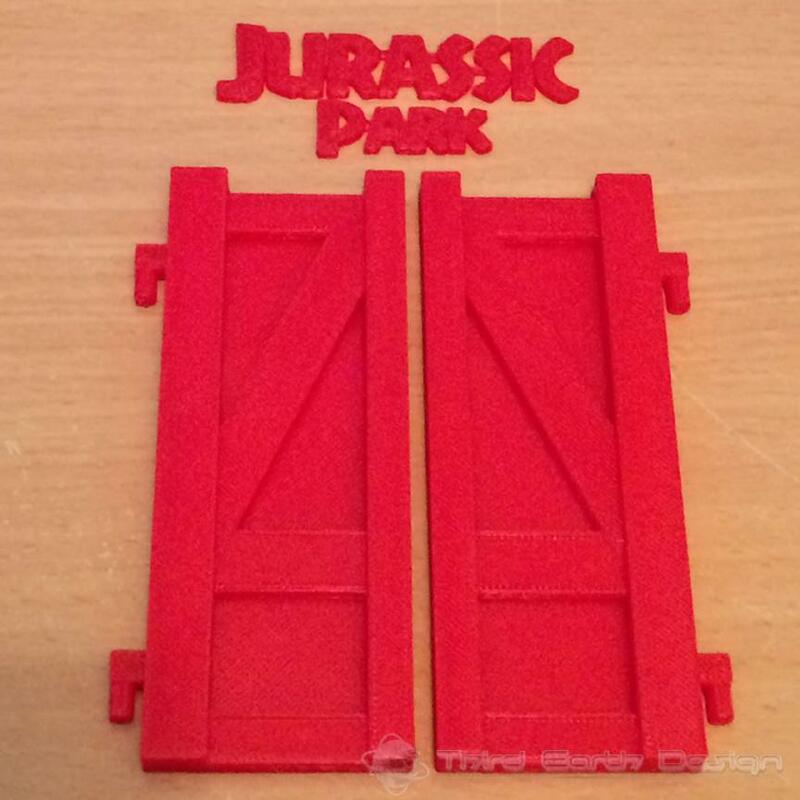 There were a few minor issues with the 3d model which meant it wouldn't slice properly, but having corrected these I made the necessary modifications. 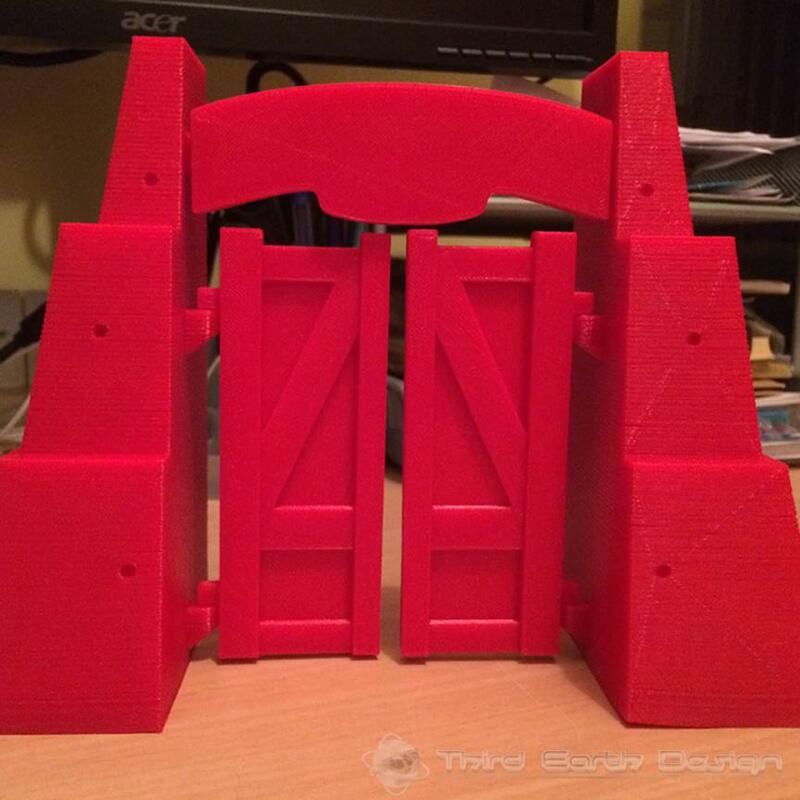 The finished version would require the gates to be hinged in order to open so I added some "lift-off" hinges to the support pillars. 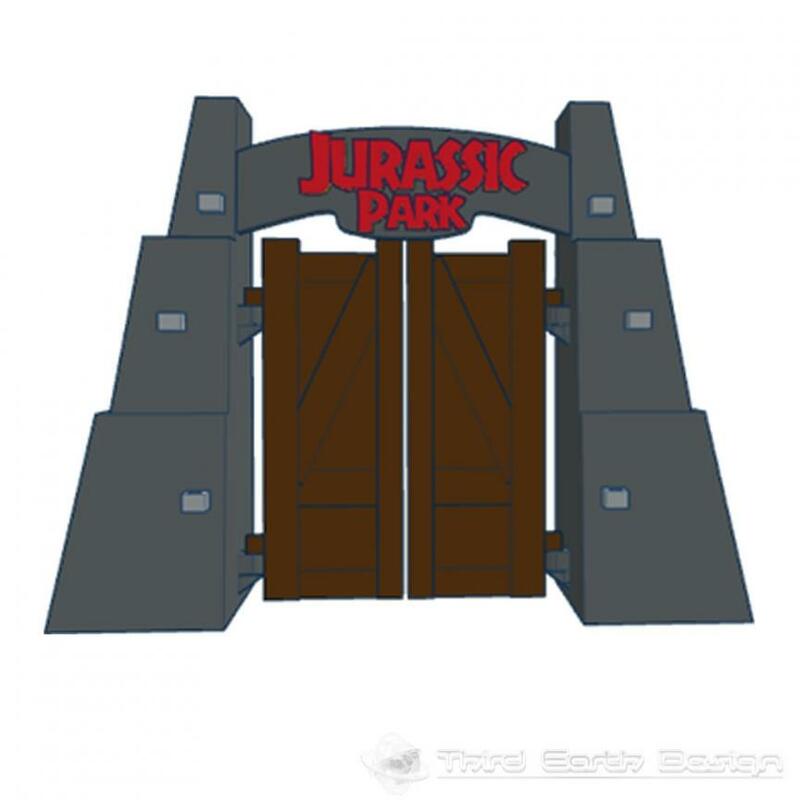 The "Jurassic Park" text had to be completely re-modelled as the original was un-printable, the upper support section that the text mounts onto was also re-modelled as the width of the entrace was widened to allow for the extra space required by the hinges. Joints for assembly were also added to the upper support. 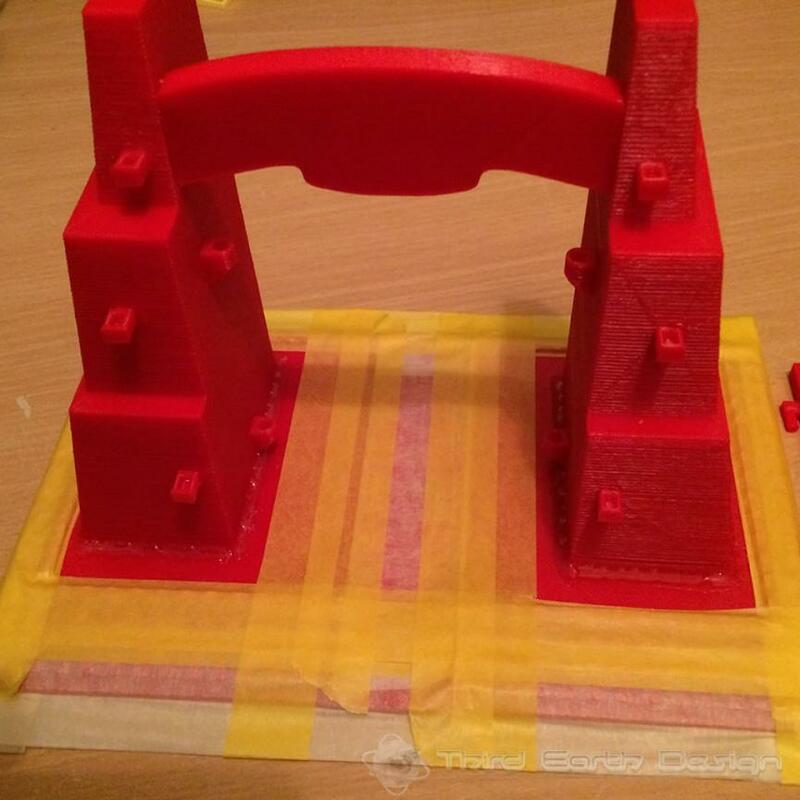 I printed out all of the pieces, including a three part LEGO® base (unfortunately my print bed can only print around 7 inches WxLxH, so had to divide into two main parts) and assebled them together, gluing with hot-melt glue where necessary. Some post finishing was required to add the fire torch detail, a little bit of drilling is all that was needed. I finished with a stone effect spray paint by PlastiKote. 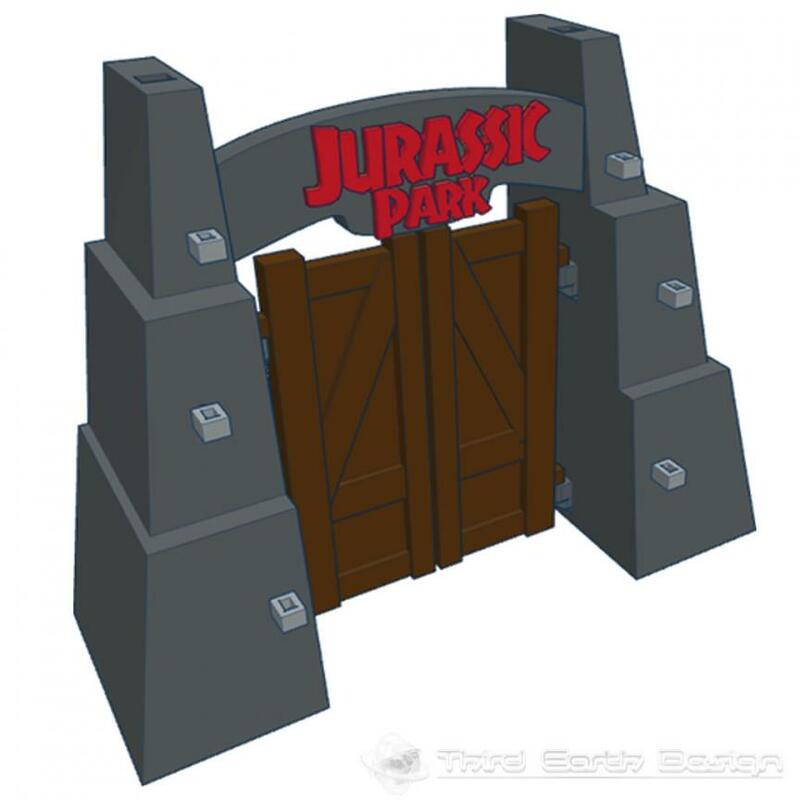 The gate panels were sprayed in brown and the text hand painted in an enamel based yellow and red colour. As with most of my painted plastic projects, I always start with a primer coat. The sand/dirt effect for the road was achieved by using fine stone ballast (as used in railway modelling). Full instructions to make this project are available on Instructables.